Sugarplum Tent Company specializes in the finest tent rentals of clear-top, sailcloth & white tents–as well as full lighting options, tent liners, swagging, dance floors, staging, climate control and much more. Family owned and operated for 23 years, we have the highest standards of service and professionalism. We cover the area\’s most spectacular events throughout Maryland and the Eastern Shore, Virginia and Washington, DC. From the largest tents to the smallest details, Sugarplum handles the most complex logistics with unparalled attention to detail. Our crews are the best in the industry and have been with us for an average of 15+ years; they\’ve seen and done it all! 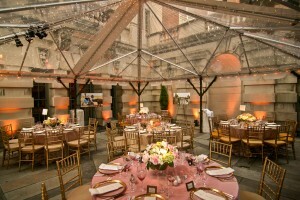 We work closely with you from the first phone call to the final takedown to ensure the success of your special event. Take the stress out of your next tented event and give Sugarplum a call to arrange a site visit: 301-869-2054.